Salman Khan Once Again On “Koffee with Karan”…..
​Salman Khan is all set to appear on Karan Johar’s chat show “Koffee with Karan” and entertain us with his eccentric nature and infectious laughter. 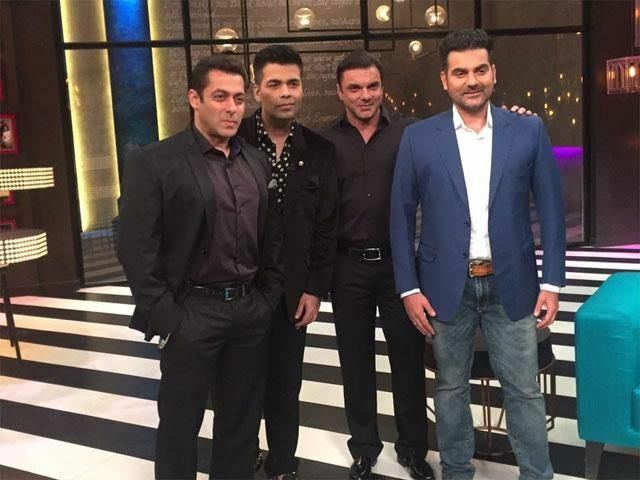 ‘Dabangg’ Khan recently tweeted a charismatic picture of himself from the sets of ‘Koffee With Karan‘ along with his brothers, Sohail and Arbaaz. This is not the first time Salman would appear on the show. While ‘Sultan‘ declared in the last season that he is a virgin, we are just wondering what revelation he is going to make this time! Is he going to spill the beans about his relationship with lulia Vantur..?